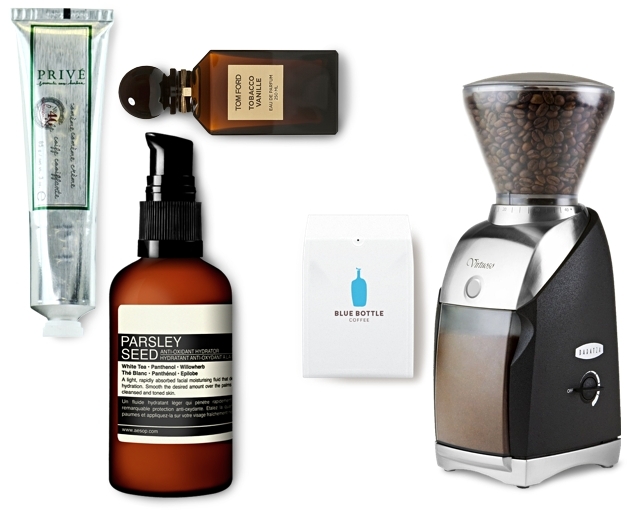 My Morning Routine: Scott Dadich, Wired's Editor in Chief | Valet. Scott Dadich spent the second half of the last decade as creative director of Wired, a magazine focused on how technology shapes our culture, economy and politics. 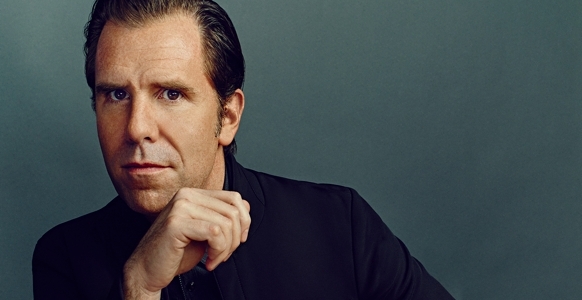 In 2012, after three consecutive National Magazine Awards in Design, he was named the magazine's editor in chief. Since then, Wired has been on a proverbial rocket ship. Mr. Dadich has overseen the complete revamp of the magazine's San Francisco headquarters, combining the print and digital teams into a more open floor space that facilitates collaboration. With a background in art and a penchant for great design, it's no surprise that under his watchful eye, Wired has won eight Webby Awards, 23 Society of Publication Designer Medals, along with countless other accolades. So how does he make it all work? Aside from a high-performing team, he relies heavily on a disciplined morning routine that involves the occasional SoulCycle, a (sometimes) healthy breakfast, and a meditative walk to the office. I wake up between 6:00 and 6:30 depending on the day. If I'm trying to squeeze a SoulCycle in, then it's definitely on the early side. If I'm headed to the office, though, it's later. That being said, today I slept in until 8 and it was magical. I'm averaging about six hours of sleep, but feel so much better when I get those eight hours. My wife and I have two dogs, a terrier mix and a spaniel mix. The terrier usually hops into bed with us in the morning. While my wife walks the dogs, I'll check my early morning emails and review Wired.com before I jump in the shower. We're on the West coast, and I have a big team on the East coast so I usually have about 50-75 emails to check and triage. Before breakfast, I try to scan Twitter and Instagram for overnight news as well as our home pages and analytics dashboards. I love my time with my wife and dogs in the morning. It's a great way to start the day, especially when I know I have 12-14 hours of work coming. My walk to work plays a big role in this too. In San Francisco it's always fresh and cool, so walking through the park helps me mentally prepare. I grab a coffee on my walk to work. I pick up a red eye from Small Foods. On the weekends though, I really enjoy the ritual of a pour-over at home. My good friend Patrick Godfrey turned me onto this method. I use Blue Bottle or Sight Glass beans, of which I grind quite a healthy amount in my Virtuoso grinder. I heat my water to 193°, and use a V60 cone filter. I moisten the grounds and let them bloom for 30 seconds, add the tiniest sprinkle of Maldon to brighten the flavor, then do one long, slow, continuous pour—Japanese-style. This makes about two cups. I drink it black. The whole process takes about 10 minutes, but it's very meditative and makes for a very relaxing to start to a weekend. Breakfast comes two ways for me. I love homemade buttermilk pancakes with lots of butter and real maple syrup. But lately, I've been sticking to protein as I've found I have trouble digesting gluten. I love this recipe from my buddy Adam Rapoport at Bon Appetit: crack three eggs into screaming hot olive oil in a cast-iron skillet and cook undisturbed for a few minutes, until the edges are lacy and browned and the yolk is still runny. I like to finish with a liberal sprinkle of smoked Maldon salt and Cholula hot sauce. Salty, crunchy, gooey, spicy ... It has it all! My calendar is frequently in a lot of flux and often double- and triple-booked. Before bed, my assistant will send me the following day's rundown. That first hour in the office when no one is around is extremely important. It sets the tone for the entire day, so the prep the evening before really makes a big difference. I'm pretty simple when it comes to grooming. 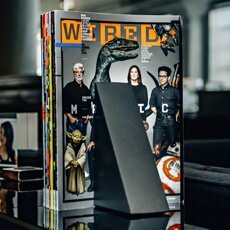 Dadich gave TRNK a tour of Wired's newly renovated SF headquarters, and shared his personal approach to form versus function.